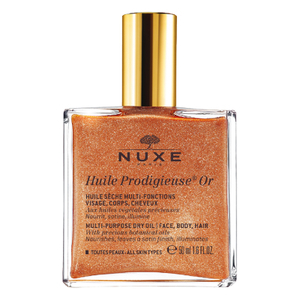 Specially formulated with a unique cocktail of Vitamin E and six precious plant oils – camellia, hazelnut, borage, St John's Wort, sweet almond and macadamia – the oil offers ultimate hydration to leave skin sumptuously soft and hair ultra glossy. The addition of deeply nourishing Tsubaki Oil creates a free-radical fighting shield, helping to combat daily pollutants that can lead to cellular deterioration and signs of ageing. It has a non-greasy, lightweight feel with a captivating sweet fragrance featuring top notes of Orange Blossom, heart notes of Rose and Lily, and Vanilla base notes. 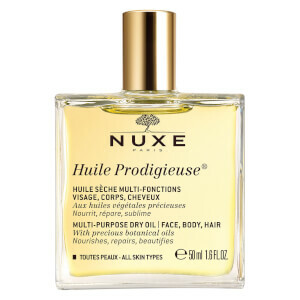 Add a drop to your foundation to ensure smooth application or use as a deep conditioning hair mask for luscious locks. Massaged into skin, it can even help to alleviate the appearance of stretch marks. 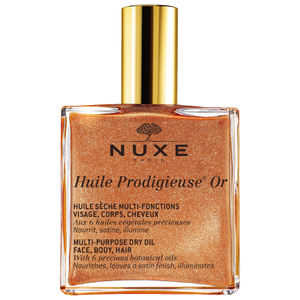 A lavish, cult-favourite beauty product with a multitude of uses. This product is stunning. The smell is incredible and the r=texture very refined. I have oily/comb skin but this still sinks in after a massage and applies to the end of hair gives a lovely gloss. First got in in a beauty box and still buying!